Chief Ashby was shot and killed while attempting to arrest two brothers who had attempted to rob a group of children on South Scott Street. As he approached the men one of the produced a pistol. Despite having the pistol pointed at him, Chief Ashby did not draw his weapon and proceeded to subdue one of the brothers. As he handcuffed the man the other brother shot him in the back, killing him. Both brothers fled the scene. One of them was shot and killed by a posse. The other was apprehended a short time later. 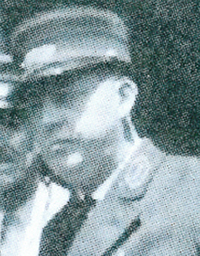 He was convicted of Chief Ashby's murder and executed in the electric chair on April 29, 1932. Chief Ashby had served with the Madisonville Police Department for 3 years. He had previously served with the Earlington Police Department. He was survived by his wife.